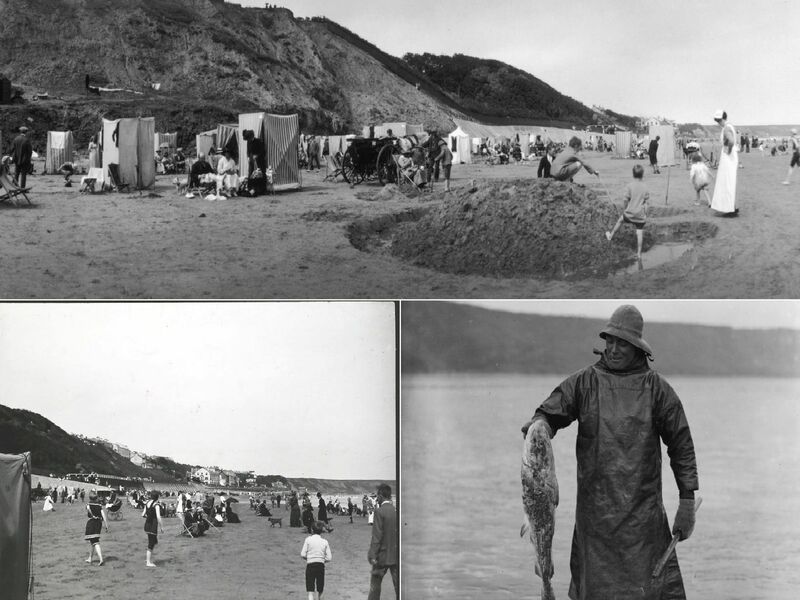 Today we turn back the clock to showcase how Filey has changed down the years. Donkey rides and deckchairs on the beach. Children building a sand mound with a moat and adults relaxing by their changing tents on the beach at Filey. A beach scene at File. Public bathing tents on the beach at Filey.